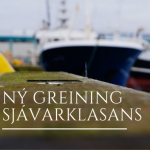 Íslenski sjávarklasinn verður með kynningu á þeirri fullvinnslu aukaafurða sem fram fer á Íslandi og þeim tæknibúnaði sem er til staðar hérlendis til fullvinnslu aukaafurða á Polar Fish 2012 sjávarútvegsstefnunni í Sisimiut í Grænlandi hinn 6. október n.k. 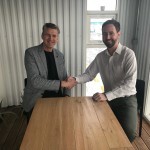 Kynningar þessar eru liður í fundaröð Íslenska sjávarklasans á Norður Atlantshafi um fullvinnslu aukaafurða sem gengur undir heitinu „Turning Waste into Value“. 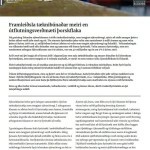 Frekari upplýsingar um fundaröðina má finna hér. 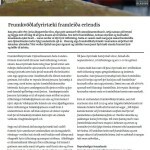 „Þessir fundir eru afrakstur þess samstarfs sem sjávarklasar á Norður Atlantshafi hafa stofnað til með tilstuðlan frá NORA, Nordic Innovation og samstarfsaðila Íslenska sjávarklasans,“ segir Þór Sigfússon, framkvæmdastjóri Íslenska sjávarklasans. 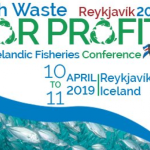 On the 6th of October, the Iceland Ocean Cluster will be participating in Polar Fish 2012 in Sisimiut, Greenland with a presentation on the utilization of by-products, where current technologies being used in Iceland will be presented and new possibilities discussed. 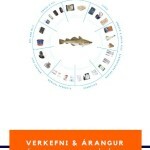 The presentation is part of a meeting series around the North Atlantic Ocean called “Turning Waste into Value”. 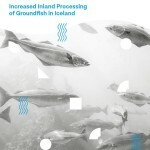 Further information on the meeting series can be found here. 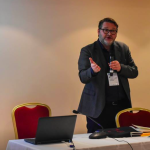 “The meeting series are the result of the cooperation established between North Atlantic ocean clusters, made possible by NORA, Nordic Innovation and the members of the Iceland Ocean Cluster.” says Thor Sigfusson, Managing Director of the Iceland Ocean Cluster.